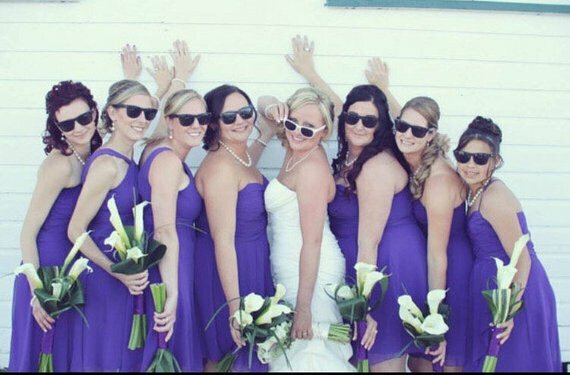 Soak up that wedding day sunshine with Bride Tribe Sunglasses for the bridal party! Styles are available for the Bride, Bridesmaids, Maid of Honor and Matron of Honor. At $9.95 each, they’re the perfect inexpensive add-on to your bridesmaid gifts! 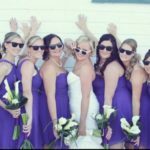 Complete your Bride Tribe’s wedding day look with our inexpensive wayfarer-style sunglasses. 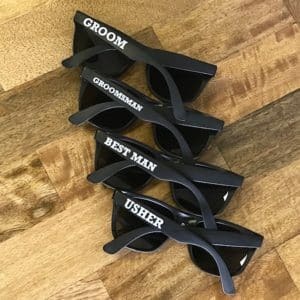 This fun bridal party swag is perfect for the bachelorette party and wedding day photos. The girls can even wear them during the bridesmaid dance! We offer four designs: Bride, Bridesmaid, Maid of Honor and Matron of Honor (please note that the bride’s pair is white and the others are black). Wording is printed on the left arm of the sunglasses and all pairs are one size fits all. And don’t forget about the fellas! 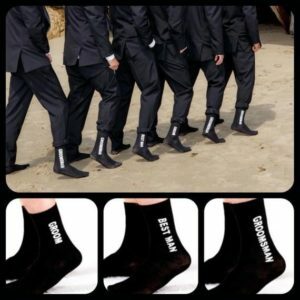 Grab some for the groom crew too! Bride sunglasses are white, all other styles are black. Wording is printed on left arm.